Two unannounced BlackBerry devices have been spotted on Geekbench, raising speculation that the company may be looking to launch multiple smartphones going forward. One of the rumored devices is believed to be the upcoming Key2, which will be a successor to last year’s KeyOne. There’s also a second device which comes with slightly more humble specifications and is being rumored to be marketed as the Key2 Lite. 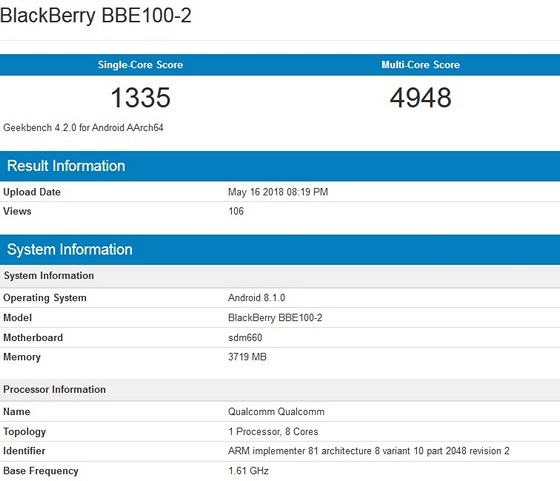 Taking a quick look at the two listings, the first one is codenamed BBE100-2 and is believed to be the rumored Key2 that will reportedly ship with the Snapdragon 660 under the hood. It will apparently have two RAM options: 4GB and 6GB. The listing also reveals that the device will run Android 8.1 Oreo out-of-the-box, but there’s no other info about the upcoming BlackBerry as of now. 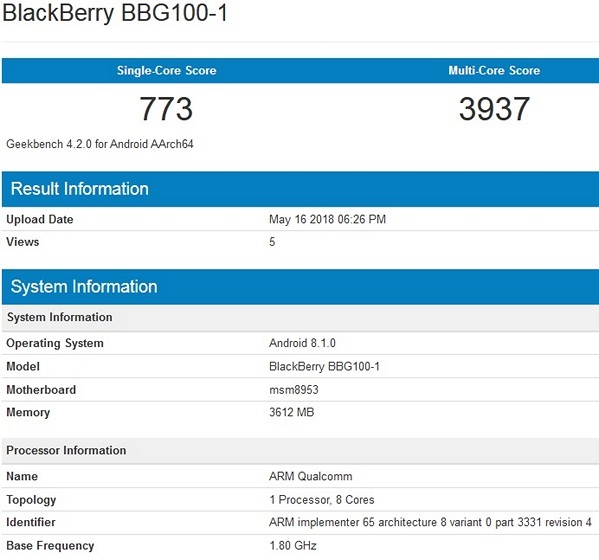 The second device that has been spotted on Geekbench comes with the codename BBG100-1 and is powered by the MSM8953 (Snapdragon 625) SoC. The listing also reveals that it will offer 4GB of RAM and run Android 8.1 Oreo out-of-the-box. Online rumors suggest that this one might be marketed as the BlackBerry Key2 Lite, although, the claims cannot be independently verified at this time. Earlier this month, BlackBerry officially announced that the BlackBerry KEY2 will be launched June 7th in New York City. 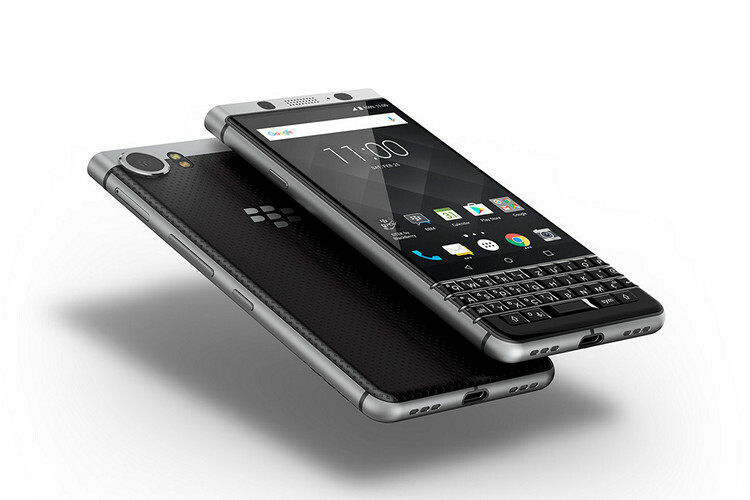 The device was recently certified by Chinese regulator, TENAA, revealing that it will ship with the trademark physical QWERTY keypad that may be a nostalgic remnant of the past for most smartphone users today, but continues to remain immensely popular among a select group of BlackBerry aficionados. While there’s no word on whether the so-called Key2 Lite will also be launched alongside the flagship device at the June 7 event, it won’t be a massive surprise if that does happen, now that both these devices have been spotted on Geekbench on the exact same day.